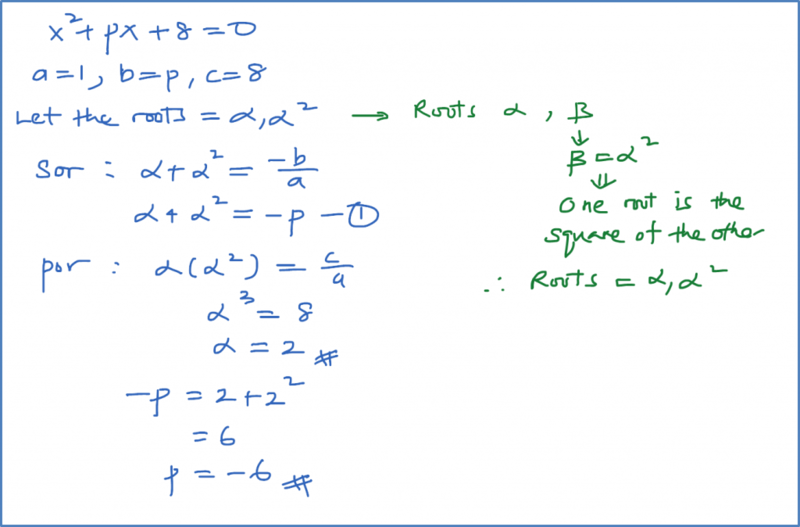 Write and simplify the equation whose roots are the reciprocals of the roots of 3 x 2 +2x−1=0 , without solving the given equation. 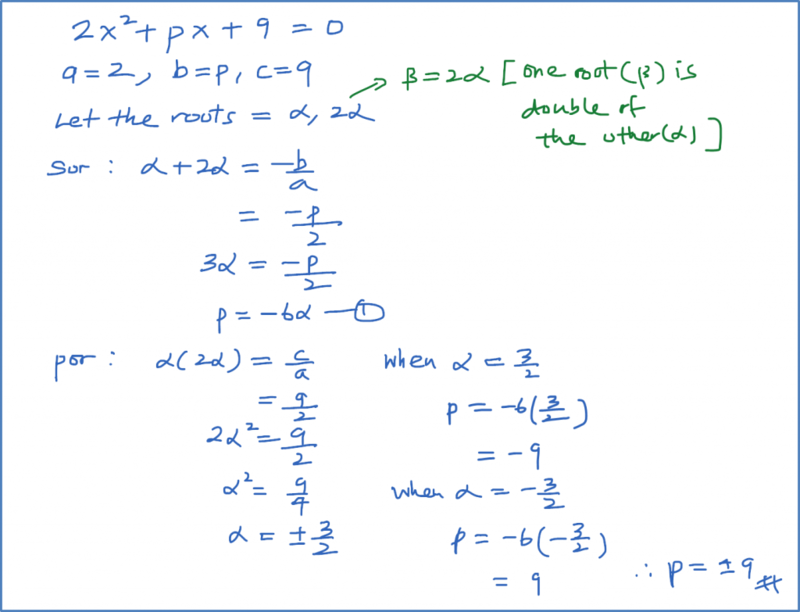 Find the value of p if one root of x 2 +px+8=0 is the square of the other. 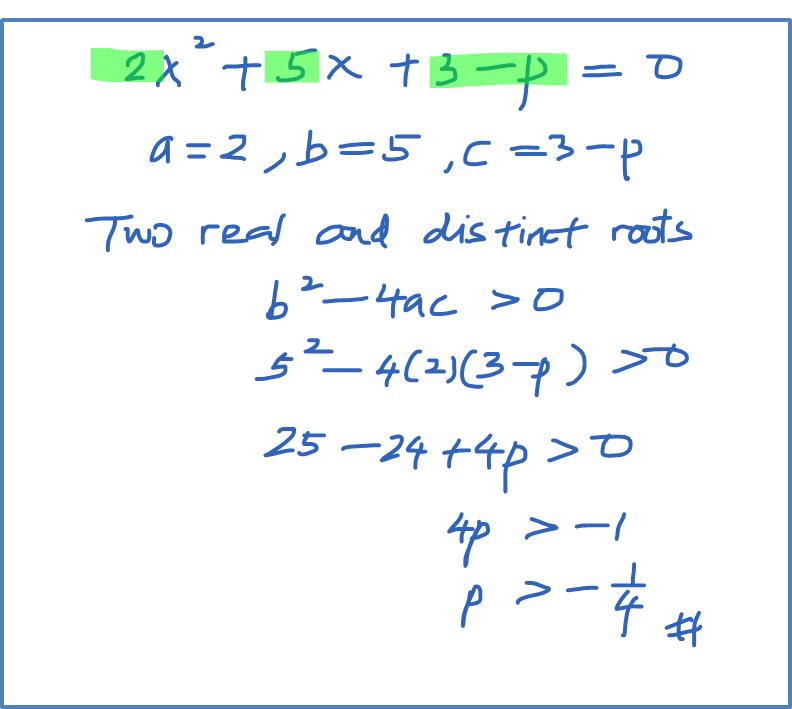 If one root of 2 x 2 +px+9=0 is twice the other, find the values of p.
The roots of the equation 6 x 2 +hx+1=0 are α and β, whereas 3α and 3β are the roots of the equation 2 x 2 −x+k=0 . Find the value of h and k.
Find the range of values of p for which the equation 2 x 2 +5x+3−p=0 has two real distinct roots.